I am thinking about adding a second story to Gus' home. Just wondering if anyone has any ideas or examples that may help me in the process. He doesn't seem to move around too much and i just feel like it could be better if he had things to climb on and stuff. 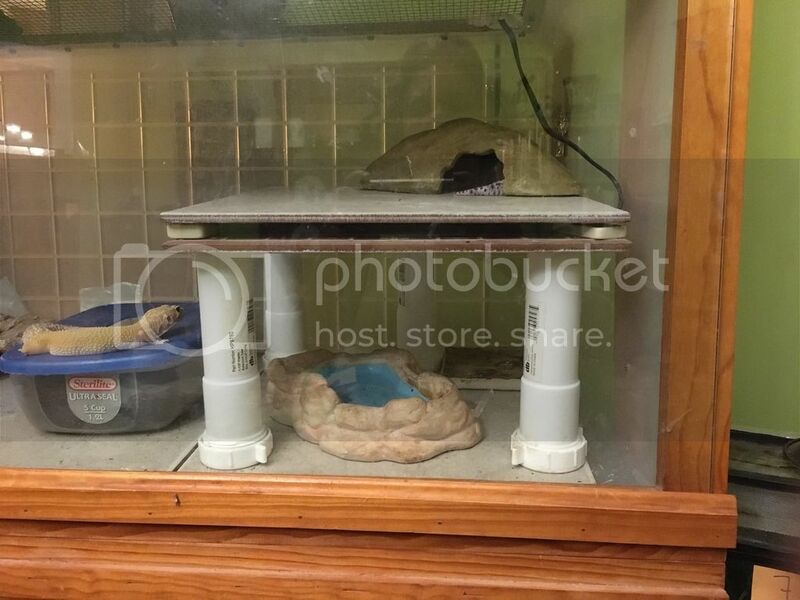 This is what his home looks like now. Thanks in advance. I do have a heat mat, 2 actually(mini and medium sized) but even with those his tank doesn't get warm enough. I only have the light on during the day. 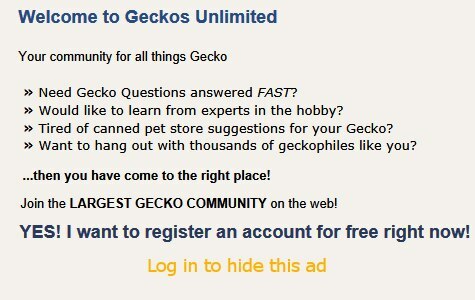 Also, I was always told to use reptile carpet by other gecko owners and also by the research I've done on my own. This is the update on the second story. As long as it is just light and the temperatures don't exceed roughly 82°F I would say you are fine. The heat mats however, do you have a thermostat for the UTH? Those temperatures must be on point for good digestion. I believe @acpart has made a 2 level terrarium! Yours looks pretty good, I wondered if a stool would work as a second level or some sort of foam cutout. Maybe even wood, four beams with a lizard ladder or ramp to access a platform. Yes there are downsides to geckos getting things stuck but Eco Earth has caused impaction as can be seen on one of the newer posts. In my opinion Eco Earth still poses a risk that some are willing to take, Repti-carpet, if cleaned right and precautions made, most issues can be avoided. Loose substrates only cause impaction when there's underlying care issues. I prefer the reptile carpet. Gus doesn't seem to have an issue with teeth and claws getting stuck in the carpet. I think that is what he has been on his whole life so he is accustom to it. I put paper towel down where he uses the bathroom to keep from bacteria growing. I think i had my temps off so i have turned off the heat lamp and am retemping both cool and warm sides to make sure the temperatures are all where they need to be. My room is pretty dark with black out curtains over the windows so i also use the light to differentiate between day and night. It is your setup, both substrates can have their risks, there are Leos I have seen with perfect habitats eat Eco Earth. I know Cresties can do that as well. If repti-carpet works for you, then use it and be careful.